'I remember seeing the lion looking yellow and heavy-headed and enormous against a scrubby-looking tree in a patch of orchard bush and P. O. M. kneeling to shoot him. Then there was the short-barrelled explosion of the Mannlicher and the lion was going to the left on a run, a strange, heavy-shouldered, foot-swinging cat run. I hit him with the Springfield and he went down...' Returning to his love of the African continent and its wildlife, Hemingway captures brilliantly the thrill and excitement of the hunt for big game. 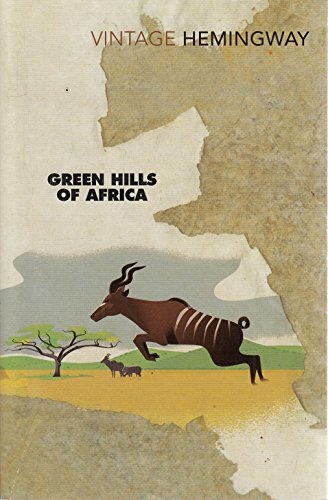 In some of the most vivid, intense and evocative travel writing, and memoir of his career, he describes the vastness of Africa and the brutality of its 'sports', showing even in this slim volume why he was one of the great American writers of the twentieth century.